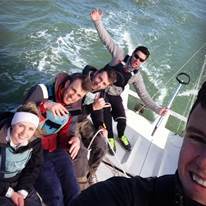 Great news to report that NMCI Sailing Club successfully secured 3rd in France! 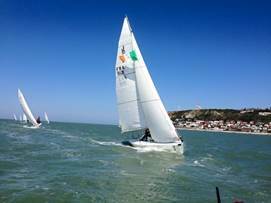 As the only Irish team to compete in the “Hydro’s Cup” in Le Havre, Normandy, they certainly flew the Irish flag in style, with a top class performance. 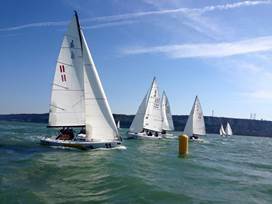 The boats in 1st and 2nd were two of the local teams who know the boats and waters very well. The top three boats finished within 40 seconds of each other in nearly every race, making for a superb spectacle. On board was: Conor Haughton – Nautical Science, Andy Verso– Marine Engineering, Rob Scandrett – Nautical Science, Audrius Kaminskas – Nautical Science, Aaron Little – Nautical Science. Congratulations from the team here at NMCI Services.